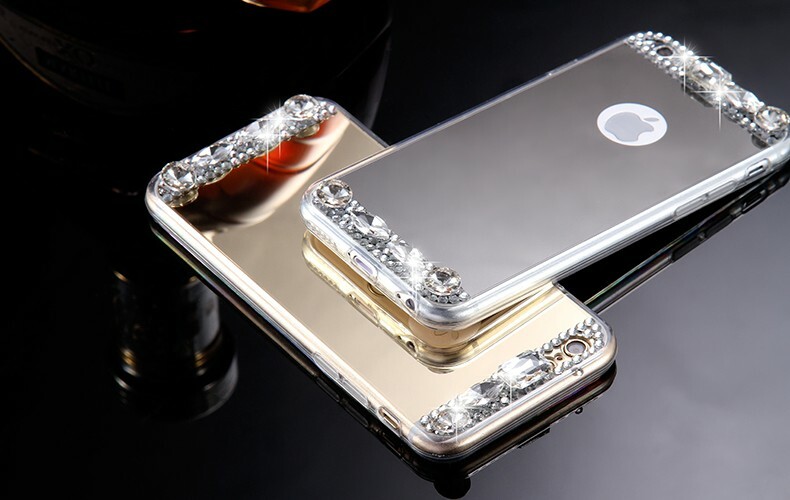 This is the Mirror iPhone 7 Case Soft Reflective with Big Crystals. Check out your reflection on the go with this Thin Soft Reflective Mirror iPhone case for iPhone 7 . Works like a real mirror.